this kit outputs frequencies of 2 MHz, 4 MHz and 8 MHz. it is designed for use with the original game boy console as a replacement for its crystal oscillator, although it can be adapted for other devices that can operate within this frequency range. this kit provides approximate half, normal, and double speed frequencies to your game boy DMG console. because the original gameboy's CPU clocks at 4.194304 MHz, running at 4 MHz results in an out-of-tune audio response (the notes will be 'flat'). 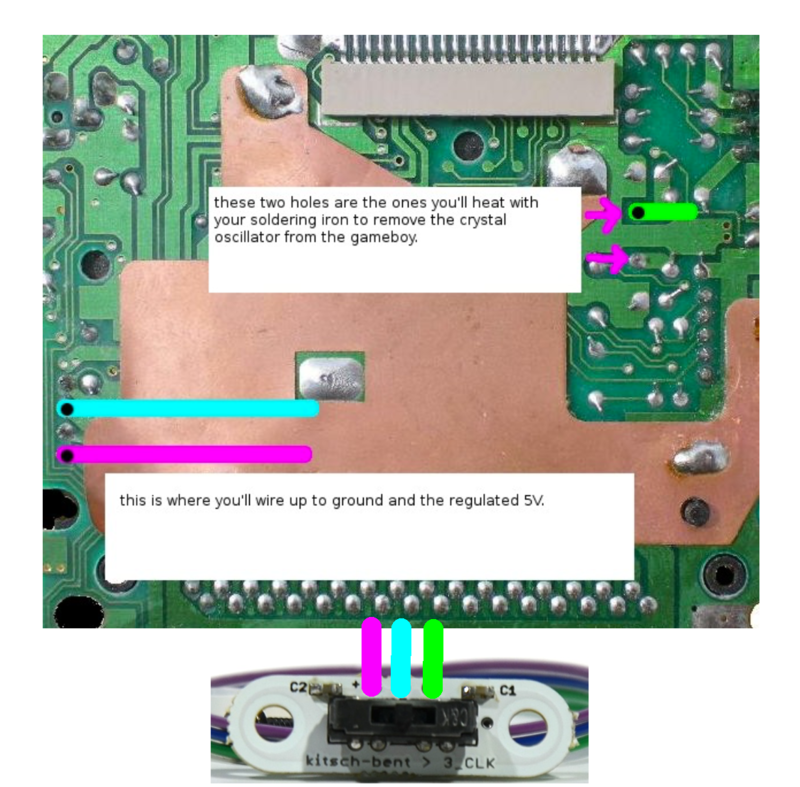 this tutorial by little-scale illustrates a method whereby LSDJ can be 'retuned' so this kit will then provide a true half, normal, and double speed audio response.